A delectable tea taffeta tea dress with lace pan collar, taffeta cumerband belt and pearl buttons. Katie, is a flirty and fun wedding dress that is informal but still oozes glamour. Nothing says vintage quite like a tea dress. 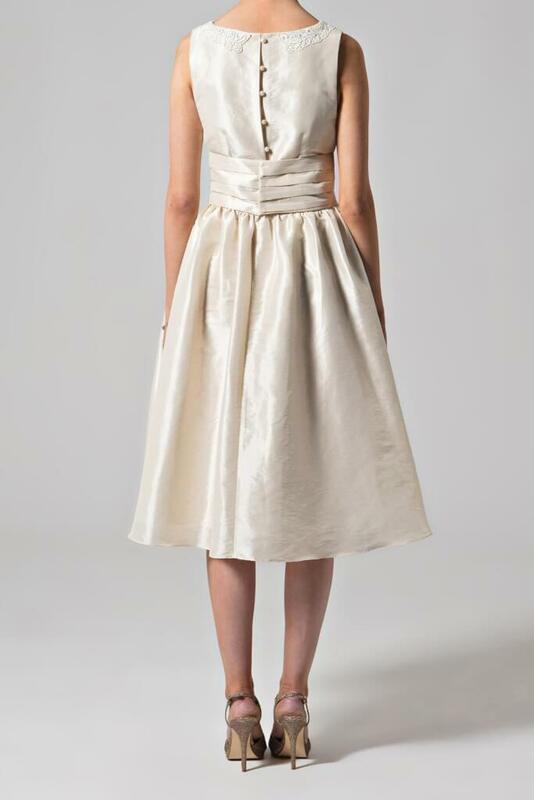 This bridal gown is made with a beautiful antique taffeta that sashays as you walk. A crocheted pan collar nods back to the 1950s while the wide cumberband belt brings a modern twist. 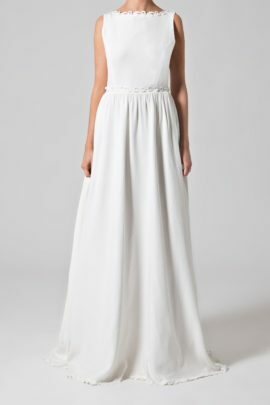 The wide pleated belt also draws the waist in to create the perfect hourglass figure. 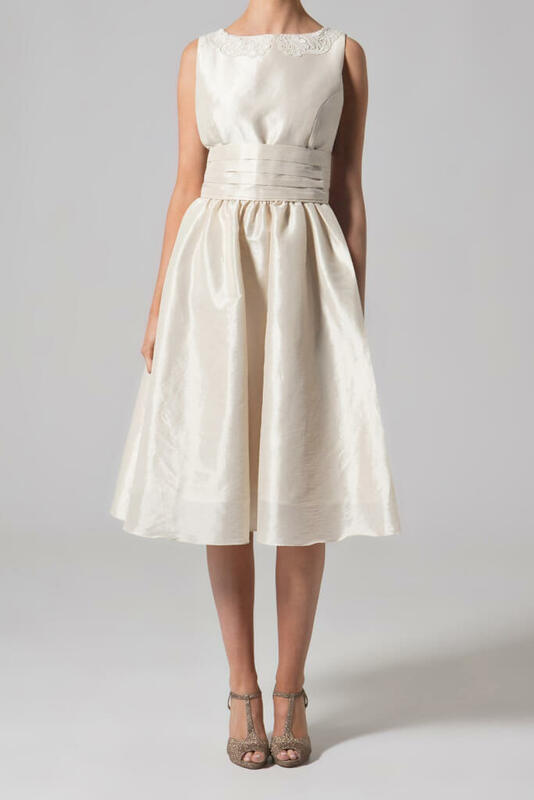 A smaller tulle net underskirt means that this dress has a more understated a line skirt. Cute pearl buttons complete the look at the back covering a zip fastening.